From an initial brief of designing and construction of 5 floors of fit out, the brief for this project grew to deliver 7 floors following the full integration of GE’s recent and significant acquisition, Alstom. The new office houses multiple GE businesses that include Power Services, Oil & Gas, Healthcare and Lighting. 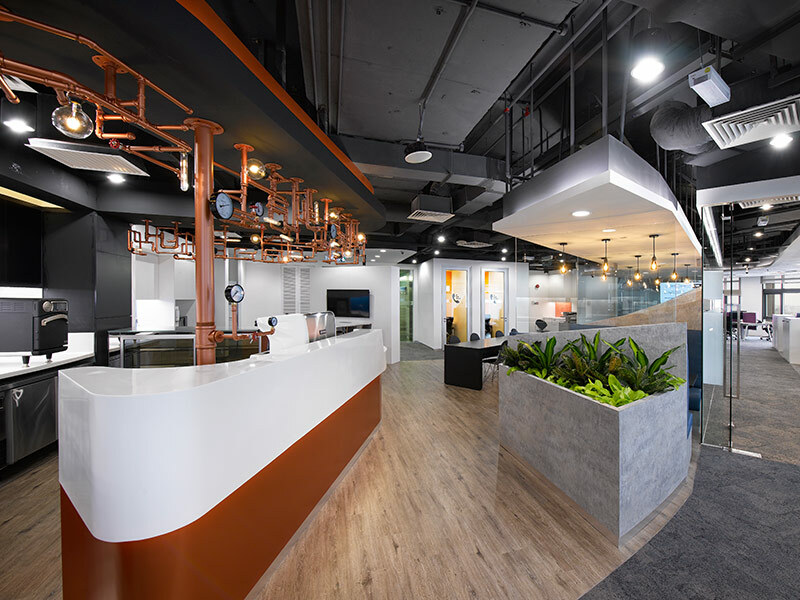 With a brief to deliver an agile workplace for an organization that is described as a “Global Digital Industrial” company, the finished product provides a strong representation of the GE brand, culture and future. Whilst the overall space requirements grew during the implementation of the project, so did Steven Leach Group and ISG’s role which ultimately has seen Steven Leach Group and ISG design and deliver all of the audio visual solutions within the space, procure white goods and café infrastructure and through its sister company provide move management services. 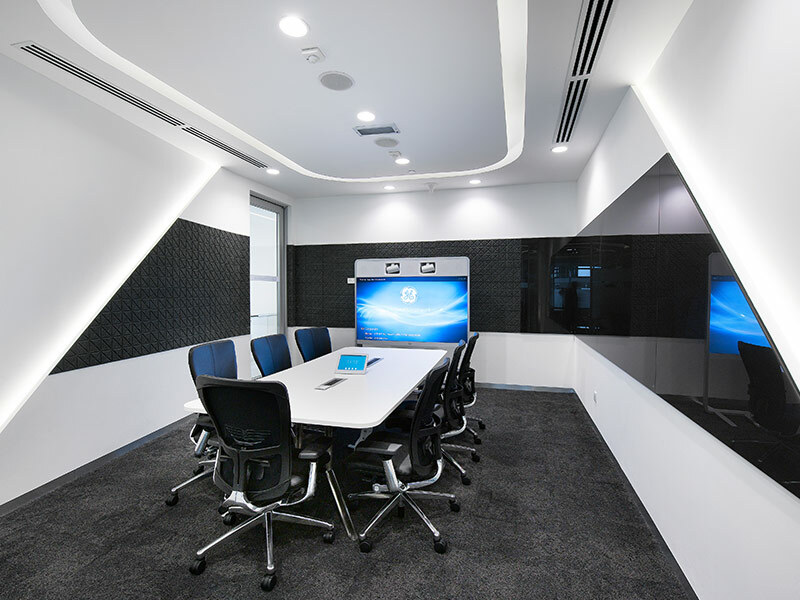 The office has been designed to provide an agile solution with non-assigned desks for large swathes of the office. This has culminated in an office accommodation solution that sees 5-6 different types of workspace that could be utilized by employees comprising benches, 120 degree workstations, sit-stand workstations and more informal spaces. Focus has been placed on employee wellbeing within the fit out solution with ergonomic Haworth Zody task chairs being utilized. 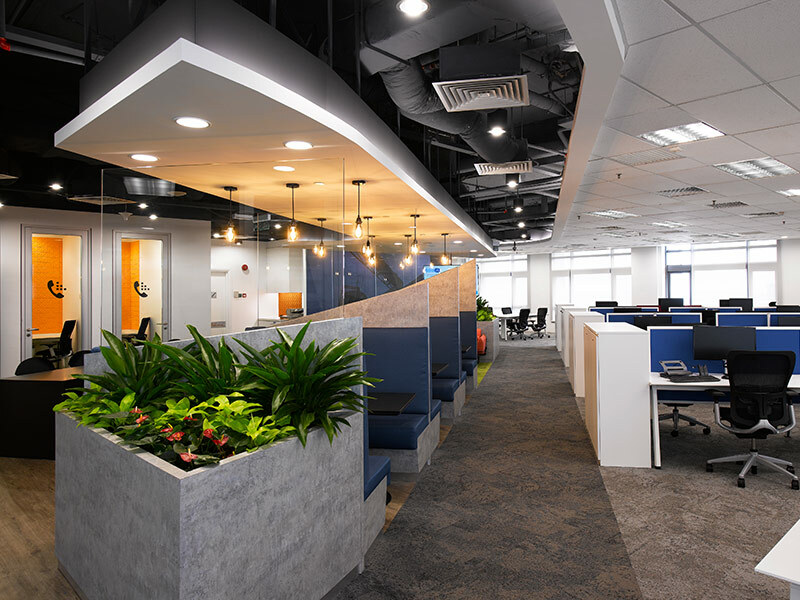 Working within the parameters of the maximum density requirements in Malaysia, each floor has been designed to accommodate a maximum of 125 fixed workstations. Each floor also incorporates a blend of project desks and sit-stand workstations to encourage collaborative work practices.